List Rules Vote up the jokes you totally missed the first time. Just because The Lego Movie franchise is based on children's toys doesn't mean it can only be enjoyed by easily distracted youngsters. Although these flicks might seem wholesome and charming on the surface, they actually offer a rollercoaster ride of blatantly sassy quips and subtle one-liners. The cast of each feature is filled with personalities that pack side-splitting punches, and some choice Lego Movie quotes could easily be mistaken for extracts from adult-oriented Comedy Central specials. Multiple films are centered around the Lego world's zany characters, with each one throwing line after line of quick-witted zingers. Since all funny Lego gags need to be discreet enough to scrape by censors, many dirty references fly right over the target audience's heads. If you didn't catch them the first time, you're not alone. In every Batman film, the Dark Knight cruises around in some sort of fancy transportation. In The Lego Batman Movie, his snazzy Batmobile has a license plate that reads "Wayne Car." Phonetically, that phrase sounds like a rather cheeky British epithet. 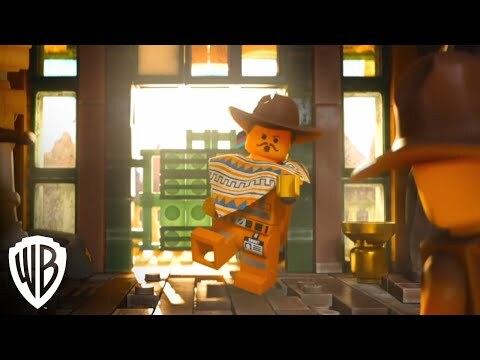 In The Lego Movie, Wyldstyle demonstrates how to blend into the Wild West. A bystander comments on how ladylike it is for her to spit in a spittoon. MetalBeard details the laws of the sea in The Lego Movie, with the number one rule being, "Never place your rear end on a pirate's face." The rules on the wall include suggestive statements like, "Never release a Kraken," and, "Never wear a dress on a Tuesday." In The Lego Batman Movie, Alfred tries to offer a shoulder for Bruce Wayne to lean on. However, Batman refuses, insisting he's always expressing his pure rage at "1 million percent." When he does this, he thrusts his hips forward in a sexual motion. It's all a little strange, especially considering how the conversation begins with Batman looking at photos of his late parents.